We’re delighted that our director, Siobhan Stirling, has been shortlisted for two categories in the Kent Women In Business Awards 2018. Siobhan is a finalist in the Marketing and PR category and has also been shortlisted as a Women’s Champion for her work with 50 Challenges. 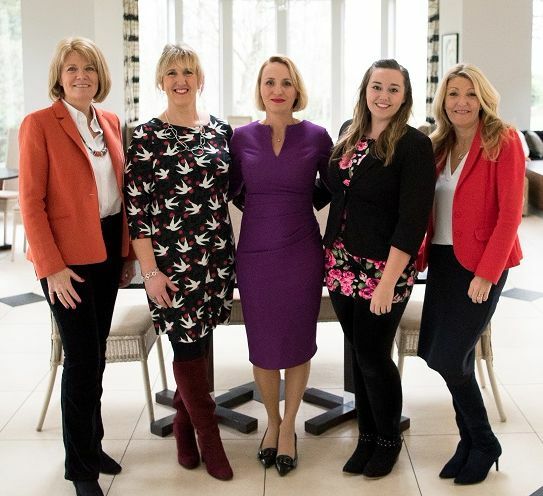 “I’m incredibly proud of what Sharp Minds Communications has achieved in the past year; being shortlisted for the Marketing and PR Award is a reflection of the value we have delivered for clients over that time,” commented Siobhan. It’s six years since Siobhan set up as a freelance copywriter trading as Sterling Words, and nearly two years since she rebranded as Sharp Minds Communications to reflect the full-service marketing agency offering that she had developed. Siobhan has made the shortlist for Women’s Champion for her work developing and promoting the 50 Challenges community to help people approaching 50 and beyond to redefine the next chapter of their lives positively. “50 Challenges is not just for women – we want to support everyone approaching this milestone to do more, achieve more and be more than they ever thought possible. But one sector with whom it is providing a strong resonance is those who have subsumed their own identity to other roles, such as parenthood, and who are unsure how to define the next chapter of their lives as those roles become less dominant,” explained Siobhan. As part of promoting 50 Challenges, Siobhan is a speaker at the upcoming Women Work event on 20th April. Siobhan is one of five members of her networking group, BNI Royal Spa, to have been shortlisted for the 2018 KWIB Awards. We look forward to celebrating with all the other finalists at the Kent Women In Business Awards on 9 March.